Trying to squeeze in a few minutes before school today to jot down some thoughts on the show I caught last night. While the rest of my school chums from OTS were off catching Andy Jones and gang in TARTUFFE, I found myself heading back to good old Academic Hall, for the first show of the season from the Ottawa University Drama Guild. 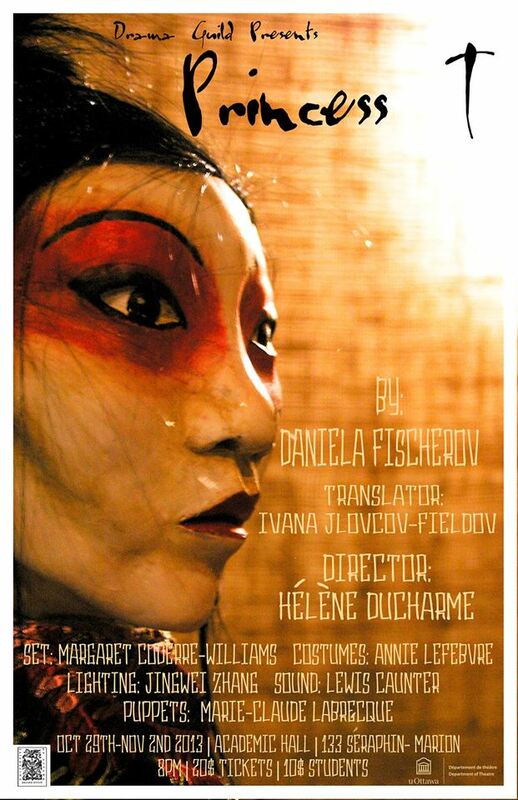 Their latest is PRINCESS T, an adaptation of Puccini’s classic opera TURANDOT by Daniela Fischerova, translated by Ivana Jlovcov-Fieldov. 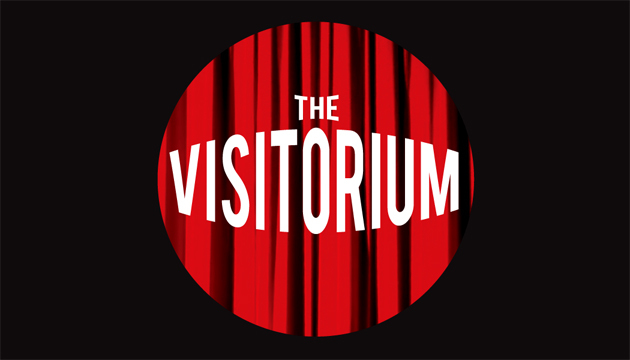 Director Helene Ducharme put together a seriously impressive piece of theatre for the kids to play around in, right off the bat immersing the audience in a bit of meta-theatre (hint: you won’t be going in by the front door). The story follows the Emporor of China (Paul J.Piekoszewski) and his quest to marry off his fierce daughter Turandot (Danielle Savoie, acting through the help of a lovely doll subbing in as the Princess), who has already had her last 12 suitors beheaded, just because. Along comes a smoldering stranger (Aaron Williams), who answers the Emporor’s call for new suitors and asks for the Princess’ hand. He answers her 3 riddles successfully (thanks to some training from his former master Barach, Aidan Parchelo), but she still isn’t satisfied. With a little help and hindrance from her aides (Meaghan Flaherty and Alexandra Isenor), the Princess has until morning to guess the strangers’ name and get out of marrying him once and for all. That is, if she still wants to. Previous Fresh Meat 2013 Preview – Part 2!